The ‘Contacts’ folder of your MS Outlook mailbox is dedicated for storing the contact details of all those people to whom you are connected personally and professionally. In this folder, you not only can store the email ids of these people, but you can store other useful information like their phone numbers, address, birthday, etc. If you are trying to save a contact with the same name or email address that already exists in this folder, then you are prompted for either updating an existing contact or creating the duplicate. Selecting the option to update the contact, only updates the changes that you have made, whereas selecting the option for creating duplicate contact, for sure, creates its duplicate copy. Moreover, you encounter duplicate contacts in your Outlook’s ‘Contacts’ folder when you import contacts and turn off the option that checks for the duplicates. This, generally, occurs when people import long list of contacts and disable duplicate detection feature to speed up the process. Since Outlook does not provide any built-in tool to remove duplicates from mailbox, you have to perform manual deletion of all the duplicate contacts. Open Outlook and select ‘Contacts’ folder that is having duplicate contacts. Go to ‘View’ tab, select ‘Current View’ group, click ‘Change View’, and then click ‘Phone’. Doing this scans the entire contacts list and enables you to see all duplicate contacts. Now follow the below steps to sort this list according to the date of modification and list of duplicates together. Go to ‘View’ tab, select ‘Current View’ and click ‘View Settings’. Go to ‘Columns’ and then click ‘Select available columns’ form list and then select ‘Frequently used fields’. Now on the list of ‘Available fields’, click ‘Modified’ and then ‘Add’. After this click ‘OK’ two times. Now in the list of contacts, select all the duplicate contacts by holding down the ‘CTRL’ key. After selecting all the duplicate contacts, click ‘Delete’ to delete all these selected ones. However, if you have large number of duplicate contacts in your ‘Contacts’ folder, then you may find this manual method time taking and tedious. Moreover, deletion of some important contact is also possible through manual method. In such cases, using professional Outlook duplicate remover software is recommended. 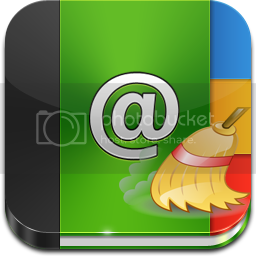 Professional Outlook duplicate remover software deletes all duplicate emails, and other mailbox items such as ‘Contacts’ from your Outlook mailbox. According to your need and requirement you can either go for manual method or professional tool.